A new flagship Volkswagen saloon will go on sale in the middle of 2017, and these teaser photos give us the first proper glimpse of what it will look like. Volkswagen had previously released a sketch of the new car. However, pretty much the only other thing we know about it is the car’s name – Arteon. Due to be unveiled at the Geneva Show next month, the Arteon is a four-door saloon with frameless windows, reminiscent of grand tourers. VW also says the car is very practical, with a huge boot, and will sit above the Passat in the company’s line-up. As a result, we expect that it will effectively be a replacement for the CC, rivalling cars like the BMW 4 Series Gran Coupe and Mercedes CLS. What’s perhaps most interesting is that it will herald a new look for VW cars, particularly at the front end. 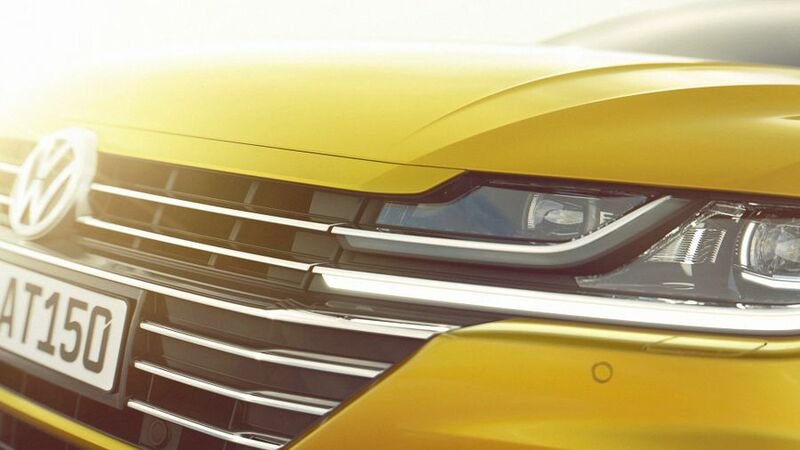 Here, the bars of the radiator grille extend into what VW calls 'three-dimensional' headlights, while extra LED lighting elements are used to emphasise the layout. You can see more by watching the company's film below. 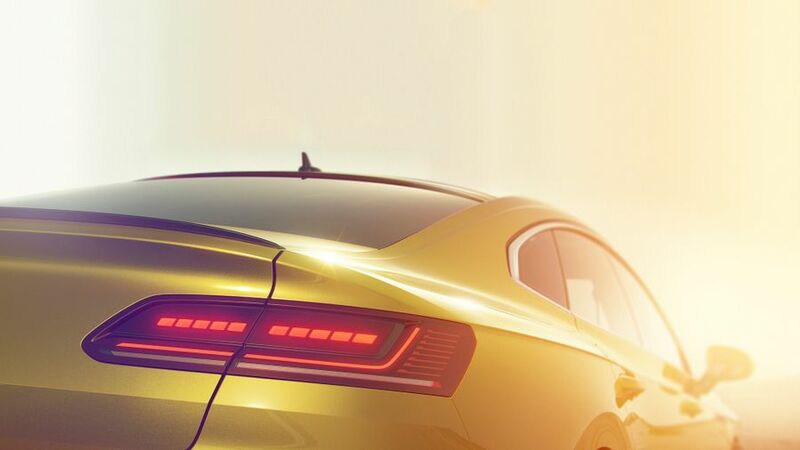 After the new Arteon’s unveiling in Geneva in the spring, it is expected to go on sale in the UK in the summer, and we’ll bring you further details just as soon as we have them.